This page is about the technology that you can access in our libraries. Information about using the technologies that we offer is available in our How to & FAQ. Look under the Computers and the Facilities and Equipment sections. Having problems with library technology? Ask a staff member if you're in one of our libraries, try our LiveOnline chat service (in the Help menu, top right) or fill out our technical help form. We have a number of Apps and Tools available for library users. The Bibliocommons app allows you to easily search for titles in the catalogue, reserve them and manage your account. Use third party services like Library Elf and Library Books for Mac to get overdue alerts. Some eBook platforms can be read using third party tools. Both Askews and Wheelers eBooks can be read using Bluefire Reader, for instance. 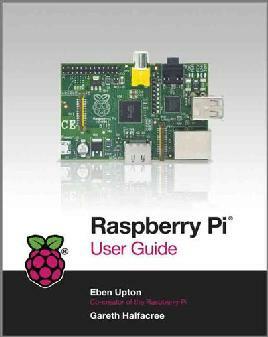 We have a wide range of technology titles in our collection from learning how to use your new device to computer programming, electronics and engineering - just search the catalogue for whatever you are looking for. eResources such as Safari Tech Books and Lynda.com have tutorials and reference books for learning everything from digital photography to computer networking. Zinio eMagazines includes dozens of technology titles from Computer Arts to Wired. There are also technology titles in our eBook collections. Our libraries and learning centres offer a variety of options for learning about technology for the very young to seniors. Choose 'Technology' from the event types in our calendar to see what is coming up. How long can I use a computer for? How do I add myself to the queue for a library computer? What screen reader software is available? What software is available in Computer Lab 1 at Tūranga? What software is available on Audio/Video Studio computers? Can I do 3D printing at the library? Can I send email from my laptop on the WiFi connection?